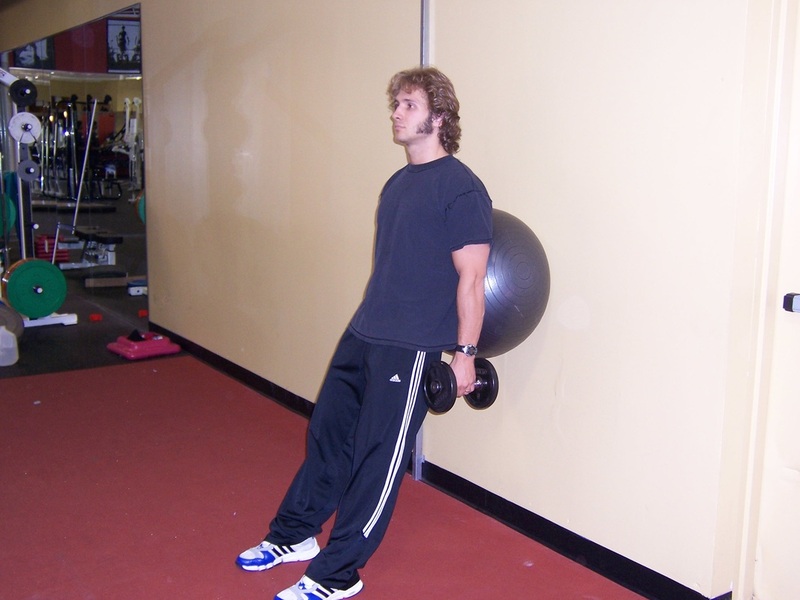 Dallas Personal Trainer - A good exercise that is a favorite of many modern "functional" personal trainers that can be utilized even before the body has achieved enough flexibility to perform a proper Back Squat. 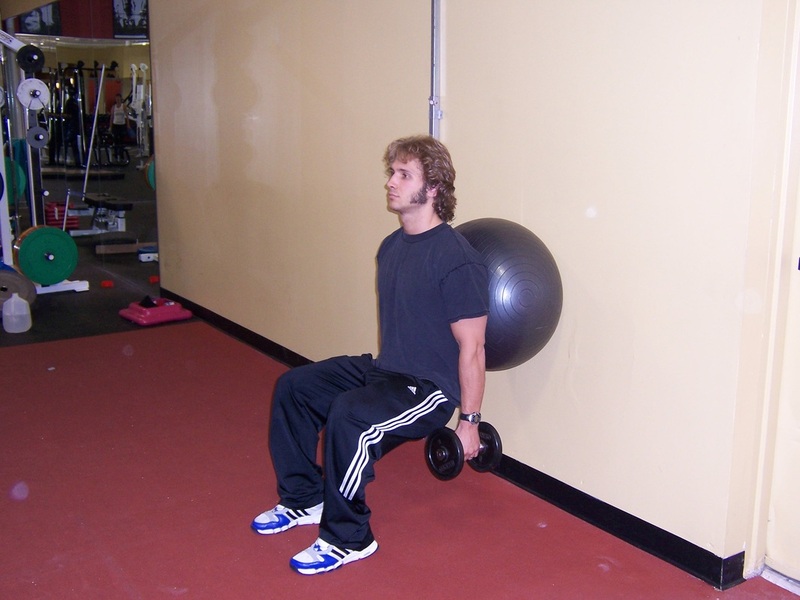 This exercise can also be performed in place of Hack Squats if your Dallas gym doesn't have a Hack Squat machine. Get a set of dumbbells in your hands, put a stability ball against the wall, and lean into it with the small of your back. Set your feet out a few feet from the wall (position them so that when you squat down to the level at which your thighs are parallel to the floor, your knees will be directly over your ankles). When you squat your thighs down to where they are parallel to the floor, your knees should make a right angle. Once you have your feet set in the right spot, begin to squat down, making sure to keep your bodyweight firmly planted on your heels, and making sure to keep your torso completely upright (don't let your rear end push out to the back). Once the top of your thighs are parallel with the floor, press your heels into the floor, contract your glutes (rear end muscles), and smoothly squat back up. Make sure that your weight never shifts forward to your toes on this exercise. Keep your head up, your chest out, and your shoulders back throughout the entire exercise.